Establishment or Dissent. Which one is it? I’m struck by the hypocrisy coming out of the Trump camp. In fairness, the “camp” I am referring to is not so much Donald himself but those who support him and seemingly gravitate to the term of surrogate. Having spent an entire year hearing how Trump is anti-establishment, and following his success among voters sick and tired of the usual ways of Washington, I wonder by what right do Trump’s people insist that all Republicans should back their candidate? I’m not questioning the legitimacy of his candidacy, solely based on the fact that he got to where he is through a Democratic process, but to aggressively demand that the likes of Romney, Ryan and the Bush’s have some sort of obligation to support him now that he is the presumptive nominee is opportunistic hypocrisy at its worst. It’s almost like Trump’s surrogates are saying, “we won, now fall in line whether you like it or not”. This issue does a lot to crystallize the major issues people have with the specter of a President Trump. As one who is not convinced he is actually a racist demagogue but still potentially very dangerous, I see this issue as a very clear indication of what we might be looking at should he ascend to the position of leader of the Free World. 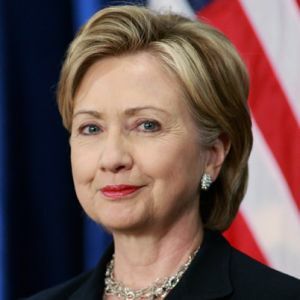 A presidential candidate’s benefits and dangers are not merely based on their words or actions but very much based on the impact those words and actions have on their supporters. Trump’s responses to those who choose to not support him are very much what they’ve been throughout his campaign, mocking ridicule and name calling. As non-presidential as that might be it’s not dangerous per se. But his surrogates grab the torch from him and then take a different approach. They go on the attack against those who choose not to support him, taking the approach of almost bullying them into changing their positions. It’s just a matter of time till the names of those Republicans not supporting him will be spoken of by Trump’s surrogates with the same venom they have when speaking of the Clintons or President Obama. But what is the deal here? If they are so anti-establishment, how does it make any sense for these surrogates to claim wrongdoing on the part of the establishment types unwilling to support their candidate? If you are anti-establishment how can you demand the establishment concede? It’s one or the other, make your pick. I know it’s a free country, for now at least, and that no laws are being broken when Trump’s followers go on the attack against his opponents, but the climate being created is a volatile one at best, and just like in international conflicts that are deemed powder kegs, the slightest misstep or out of the ordinary event could cause a disaster. Trump might really love Hispanics, not just Tacos, but the danger in his candidacy remains, not just because of him but because of those who follow him. I originally debated whether or not I was going to spend my time writing to you, especially since I don’t feel particularly good about doing anything that gives you extra attention, but since I believe you once again have found a way to exemplify a problem in our society, you left me no choice. Let me begin by making something very clear. Finding you or your tactics distasteful in no way means that I am a supporter of Donald’s Trump’s proposal to ban Muslims from entering the United States. What it means is that just as a valid argument can be made for why his plan is impractical, dangerous and morally suspect, so too an argument can be made for why you Michael Moore posing for a picture with a sign saying “We are all Muslim” is equally difficult to come to terms with. You and Trump are both extremists. The difference between you and him is that you are not just an extremist, you are a hypocrite as well. You pretend to care about humanity. Show me a picture with you holding a sign saying “We are all Jews” or “We are all Christians” and I might believe your motives are pure. When Jews get murdered regularly by terrorists in Israel and Christians get slaughtered in Iraq by the thousands where is your outcry? Why didn’t I see you with a sign then? Why is it more disagreeable to you that an American presidential candidate says something controversial than it is when people die? Why do you feel it necessary to fight this fight but not to fight the fight against people who are actually killing people to promote their sick agendas? I believe the answer to all these questions is that you are an opportunistic coward. It’s not about being a Liberal or Conservative. Bill Maher is certainly not less of a Liberal than you are but when people are being killed he is not afraid to raise his voice against those responsible for the killings. Yet somehow till now you have been nowhere to be found. This is not about accepting anyone’s prejudice against one group of people. I’ve always maintained that to truly show an attitude of equality you need to be willing to criticize everyone, regardless of religion, race, color, sexual preference or any other factor that distinguishes someone from other segments of society. Not you. You look for ways to exploit the exploited by pretending to be on their side when in reality it is very obvious that all you are is an opportunistic publicity hound. I believe just as many maintain that Trump’s words and proposal are dangerous, so too is your phony one-sided anti-establishment approach. You shift things so far the other direction that you increase animosity among people and in turn you do even more damage to the liberal elements in society and even worse, you deflect attention from the real problems. With Muslims of importance pushing for reform and fighting to destroy the negative elements within their own faith, someone like you who only chooses to take a stance against someone like Donald Trump hurts their efforts and subsequently puts more people in danger. You want to help Michael, support Muslim reformists like Raheel Raza, Sohail Raza, or Zuhdi Jasser. That’s if you even know who they are. I assure you these individuals who actually are Muslim, would rather you use your celebrity to help put and end to a cycle of violence than hold up a stupid sign. Then maybe you might help a movement that will help save a lot more lives, including Muslim lives. 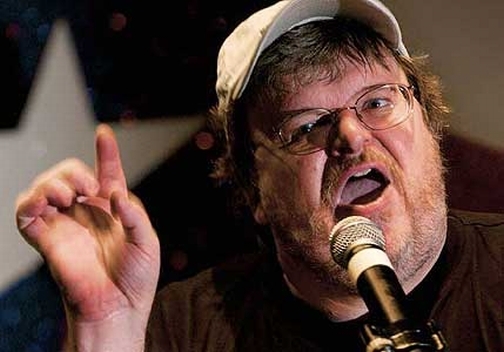 All you really care about now is what you always have cared about which is what you can do to promote Michael Moore. But then again, you were the same guy who chose to blame Bush for 9/11 instead of Osama bin Laden so I guess none of us should be surprised. Michael, despite your holier than thou approach I am sure I am not alone in saying that not only are you not helping to provide a solution to the problem, you are actually part of the problem. I am also sure that despite the attitude you are pretending to convey, you couldn’t care less.